Large Home With Even Larger Yard! 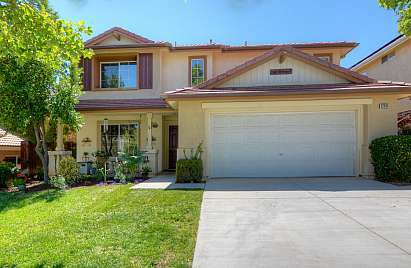 Check out this fantastic Castaic home with a Large kitchen and HUGE backyard! The heart of this 4 bedroom home is the expansive kitchen with large island and larger eating area. There is enough counter space to keep 4 cooks going without bumping into each other! The walk-in pantry is great as well, and the kitchen opens to the family room and looks out to the extra deep lot that could fit multiple pools! Upstairs features 4 bedrooms and large loft (optional 5th bedroom) with built in. The secondary bedrooms are all nice size, and the master features a fireplace and sitting area. The 3rd car garage is perfect for shop space for your weekend projects (sorry but the Chevy and boat currently there are going!). The backyard has a solid patio cover, allowing year round dining in the yard. If you're looking for elbow space and breathing room, this is the place!